Life is full of awkward moments. Saying the wrong thing, being in the wrong place, or not being socially savvy enough to navigate the waters can lead to awkwardness and embarrassment. 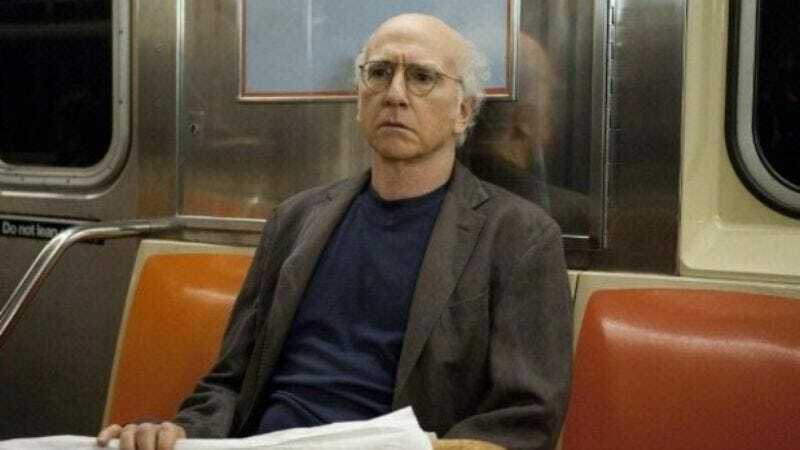 For many people, the perfect soundtrack for those feelings is the Curb Your Enthusiasm song (actually titled “Frolic” by Luciano Michelini), which often bookends Larry David’s descent into social pariah status based on his inability to act like a person. Now there’s a new service to marry that perfect bomp-bomp-bomp sound with any YouTube video, to highlight the cringing ineptitude of a situation. Curb Your Video—created by Dan Brill and coded by Phillip Pastore—enables users to inject Michelini’s ode to awkwardness into any video. Kanye turning from a smiling normal into a dour-faced egotist? Done. An anti-drug PSA that takes a sudden left turn? Now there’s a perfect soundtrack for it. Wonder how to highlight that incredibly awkward Ben Carson intro at a debate? Wonder no more. The site doesn’t allow for embedding of these new celebrations of the cringeworthy; hopefully that will come along soon. But users can make new videos, select where the music should start and stop, and then share the link, creating a new pantheon of awkwardness that is pretty… pretty… good.